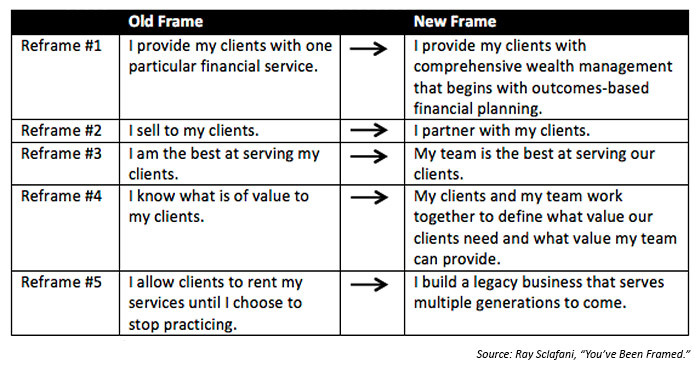 How successful financial advisors have reframed their wealth-management business. 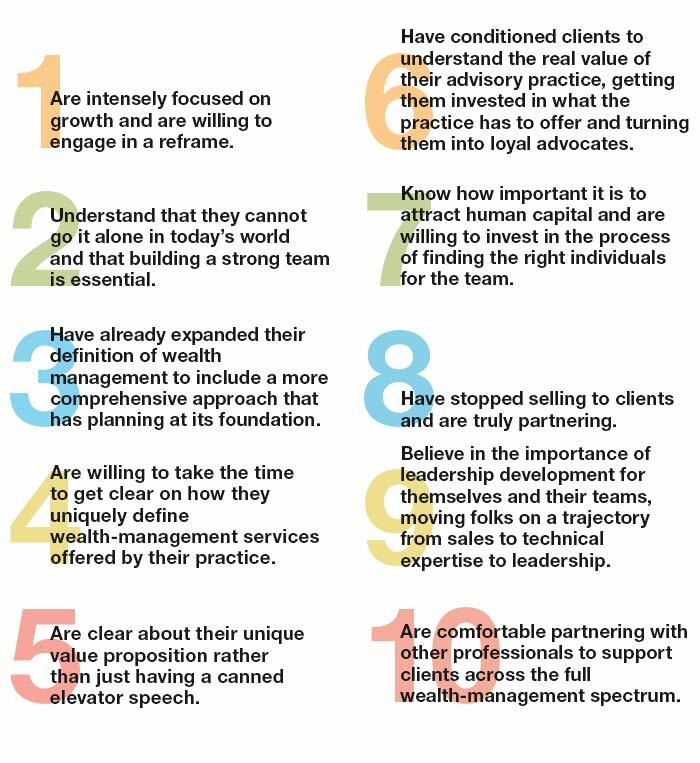 Have you wondered how top financial advisors and wealth managers are able to continuously grow their client base, assets under management, and revenues while solidifying long-term relationships with clients? Ray Sclafani is the founder of ClientWise, a premier coaching company exclusively serving the financial-services industry. A professional certified coach and the holder of a master’s certification in neuro-linguistics, Mr. Sclafani leads a firm that has trained thousands of financial advisors in advanced practice management principles and methodologies to achieve more consistent success. He says these principles are based on years of studying and analyzing the best practices of financial firms of all sizes—both here and abroad. What’s possible when you do this? “Did you know that in one national discount brokerage house there are over 35 FAs [financial advisors] who each bring in over $75 million in new retail assets annually? Not all of the advisors in this model generate these results, but the few who do are consistently receiving high-quality referrals throughout the year. “Did you know that in one national asset-management firm there are over 30 FAs who each bring in over $100 million in new retail assets annually? In this model an FA with 7 or more years of service is expected to generate this level of new business every year. 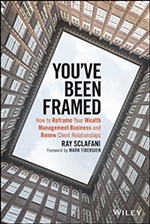 Proactive Advisor Magazine wishes to thank Ray Sclafani and ClientWise for permission to use webinar and website material and excerpts from the book, “You’ve Been Framed.” Cover image by Corbis Images/Getty Images. Mr. Sclafani’s book, published by John Wiley & Sons, Inc. in 2016, can be obtained at www.wiley.com or at Amazon.